All Blessings International, Inc., began as “Kentucky Adoption Services” in the basement of founder Lucy Armistead’s home in 2002. ABI soon grew to become a well-known and well-respected adoption service provider. With ABI’s growth came new horizons, and today ABI is licensed to provide adoption services in four states: Kentucky, Missouri, Indiana, and Tennessee. ABI also provides child placement services to families throughout the United States. In 2008, ABI received the designation of being a Hague Accredited Agency, and in 2006, agency founder Lucy Armistead received the Congressional Angel in Adoption Award. As the number of children and families ABI serves through adoption continues to grow, our professional commitment to nurture each relationship with our clients remains a priority. 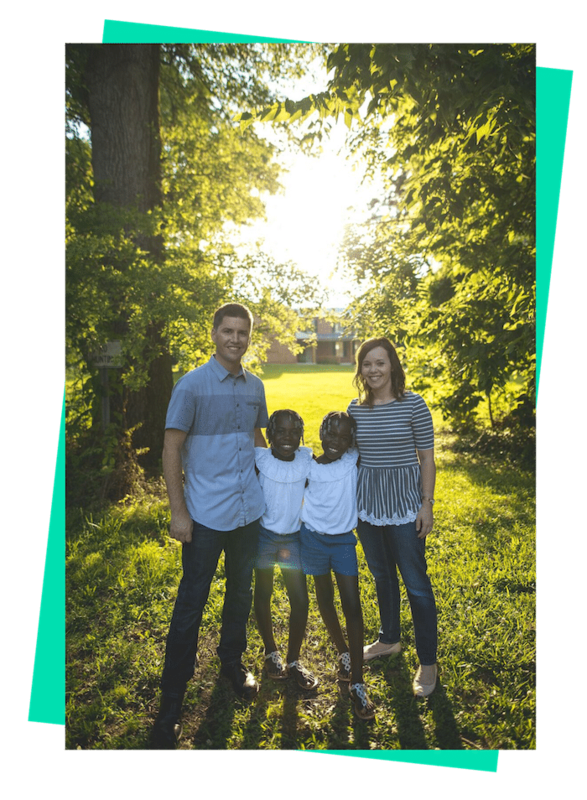 We have been truly blessed by God, and are humbled that He has chosen to use ABI to enrich the lives of children and families around the world through adoption and humanitarian efforts. Our staff consists of caring and competent individuals who will answer all of your questions about our programs, services, and adoption in general. In our commitment to serve God’s children, we are here to walk the journey of adoption with you. If you are facing an unplanned pregnancy, ABI is able to assist and support you as you decide if making an adoption plan for your child might be the best option for you and your child. ABI works with women and couples in the states of Kentucky, Missouri, Indiana, and Tennessee as they contemplate an adoption plan for their child. For families desiring to grow their family through a domestic adoption, ABI offers domestic infant adoption services to families located in Kentucky, Missouri, Indiana, and Tennessee who have utilized ABI’s home study services. Millions of children throughout the world are in need of loving homes. ABI assists families as they travel the journey of international adoption and provide a loving home for a child. ABI provides child-placing services to families of all faiths adopting from Burkina Faso, Haiti, Hong Kong, Latvia, and Taiwan. Many of these programs are open to families residing throughout the United States. ABI also works with relative adoptions from El Salvador. ABI has an adoption networking program for South Korea that is open to families residing in Kentucky, Missouri, Indiana, and Tennessee. ABI can assist families who are adopting from countries which do not have well-established international adoption programs through our UAA program. We have assisted families who have adopted from Italy, Germany, and other less common countries for international adoption through the UAA program. In addition, ABI provides humanitarian aid to children for which adoption is currently not possible. All Blessings International prides itself in providing ethical adoption services for families and children globally. We strive to keep our adoption service fees as low as possible for the families we serve. Additionally, All Blessings International is able to provide humanitarian aid to many of the orphanages and areas that we serve. We have been blessed with many individuals, families, and organizations who have partnered with us. If you desire to partner with us to serve children, please consider making a donation to All Blessings International. All Blessings International is a 501(c)(3) non-profit agency and therefore your gift is TAX DEDUCTIBLE. donation and proceed with the donation transaction. Thank you so much for your gift! We are grateful for the many partners who have come alongside All Blessings International and assisted in caring for children and families in need!